The RCI program completed another impressive year as the centerpiece of WSU’s undergraduate common curriculum. Following are several highlights. In August, we welcomed three new postdoctoral teaching fellows. 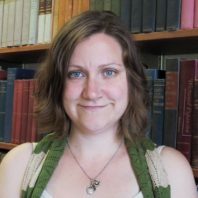 Dr. Michelle Mann (PhD, history, Brandeis University, 2016) studies the impact of French settler colonialism on European–Muslim relations in the Western Mediterranean in the 19th and 20th centuries. She brings to WSU vital experience using history to teach writing skills to students of all majors and backgrounds. Dr. Jennifer Schaefer (PhD,history, Emory University, 2015) is a scholar of modern Latin America. She is especially interested in the history of cultural articulations of political change in 20th-century Argentina. In 2016-17, Schaefer was a Postdoctoral Fellow at the Weiser Center for Emerging Democracies at the University of Michigan. Dr. Schaefer is based on the WSU-Vancouver campus. Dr. George Njung (PhD, history, University of Michigan, 2016) brought to us experience in West African History during World War I. Dr. Njung has already departed for a tenure-track position in Johannesburg, South Africa. This summer we will also bid a fond adieu to Drs. Sean Wempe and Matthew Unangst, who have recently accepted tenure-track positions at California State University, Bakersfield and Jacksonville University, respectively. Drs. Wempe and Unangst have been critical members of the postdoctoral program since arriving in 2015 and 2016. This past year, Dr. Wempe joined the Roots of Contemporary Issues book series author team to contribute a volume on historical inequalities in global public health. His manuscript Revenants of a Fallen Empire also successfully passed peer review with Oxford University Press and will be published early next year. Dr. Unangst was named a LIFT faculty fellow for Spring 2018. We will miss Drs. Wempe and Unangst very much but wish them both all the best! 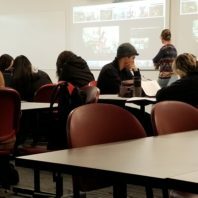 With classroom teaching as its centerpiece, the RCI program continues to foster innovative teaching and learning at WSU. In fall 2017, Dr. Katy Fry began work in her new role as Curriculum Coordinator for the program—a testament to her effectiveness in the classroom during the past four years. Dr. Fry has begun to oversee the mentorship and training of graduate teaching assistants and the coordination of our curricular efforts. She will also develop new lessons that bring together the latest historical scholarship and the emergence of pressing global developments and crisis today—the nexus at which RCI positions itself. Dr. Fry’s new position reflects her ongoing commitment to teaching. Last year, she developed and piloted a “US West in the World” version of History 105 to capitalize on student and faculty interest in the region’s historical and contemporary importance. This year, she is a participant in the Provost’s Leadership Academy, and along with Drs. Jesse Spohnholz and Clif Stratton, holds a Provost’s Distinguished Teaching Fellowship. The fellowship offers the leadership team a chance to test out pedagogical innovations, assess their effectiveness, and scale up their efforts across the humanities. Similarly, Drs. Matthew Unangst, Michelle Mann, and Karen Phoenix were all named 2018 LIFT Faculty Fellows as part of WSU’s Transformational Change Initiative. Their selections reflect a strong commitment on the part of RCI faculty to strengthen and enhance their already effective teaching profiles. The RCI program continues to encourage first-year undergraduates to take an active role in their own learning. In fall 2017, we took the RCI undergraduate research conference on the road to the 2nd Annual Northwest Humanities Conference at North Idaho College in Coeur d’Alene. The conference offered students the chance to network with peers and faculty at other institutions in the region and to see how historical thinking shapes and is shaped by other disciplines. This spring, nearly 20 RCI students participated in the Showcase for Undergraduate Research and Creative Activities on the Pullman campus as part of the program’s ongoing commitment to fostering independent research among undergraduates. Lastly, we are excited to announce the recent hire of three new postdoctoral fellows who will join us in Fall 2018. Dr. Ben Nobbs-Theissen (Emory University, 2016) is arriving by way of a postdoctoral fellowship in Trans-border Studies at Arizona State University, where he has been pursuing a project on agriculture, migration, and state formation in 20th century Bolivia. 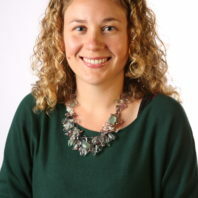 Dr. Sarah Walsh (University of Maryland, 2013) has been abroad on two research fellowships at the University of Sydney, Australia and most recently at the University of Lisbon, Portugal, where she has been preparing a book manuscript on the relationship between Catholicism, race, and eugenics in modern Chile. The manuscript will appear through University of Pittsburgh Press this year. 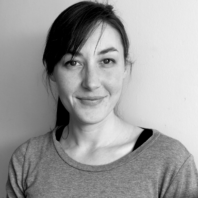 Last but not least, Brenna Miller (Ohio State University, 2018) also will join us following the completion of her doctoral dissertation on the ethnic and national identity of Bosnian Muslims in Cold War Yugoslavia. We are excited to welcome three top-notch scholars to the program.